If you are looking to lose weight you may want to take a long hard look into your sugar intake. Sugar is hard to quit. I get it. But think about how your body feels when you have refined sugar. Sure it makes you feel good but then how about after? If you really want to focus on your weight loss journey or just getting into a healthier lifestyle you need to stop feeding the sugar addiction. 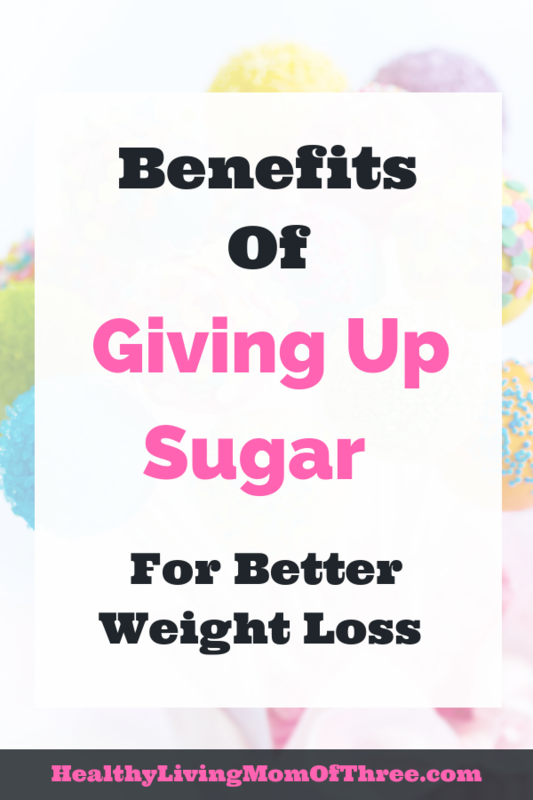 Besides weight loss there are so many amazing health benefits of quitting sugar. Sugar is bad for you in so many ways. But the bottom line sugar is a major cause of obesity, tooth decay, diabetes, and heart disease. It has also been researched that excess sugar could cause you to age faster, umm no thanks. You are filling your body with excess calories that do absolutely nothing for you but cause problems. When you have a high sugary food item your really just on a sugar high. When the sugar gets absorbed you’ll notice a high spike in your blood sugar. But, the aftermath is brutal. Once your insulin level spikes from the large amount of sugar it will quickly dip. This can cause you to feel more sluggish than before. When you have highs and lows like this your body is all over the place. Keeping your insulin or blood sugar at a more stable state through out the day is so much better for your energy. You can use natural energy you have instead of relying on a sugar rush to get you there only to crash later. Choose snacks high in protein and healthy fats can balance out your blood sugar throughout the day. Just as I explained the highs and lows on blood sugar it causes this will affect your sleep patterns. When you consume sugar especially too close to bedtime this will delay the release of melatonin. Lack of sleep can make you crave more sugar, then it becomes a never ending cycle. The better quality of sleep you get the more weight you can lose. Since sugar spikes your insulin it will be very hard to lose weight. One area in particular is around your belly. If you continue to consume high amounts of sugar your body will hang on to more fat. Your liver can only breakdown a certain amount of sugar. So where do you think the rest goes? That’s right, to your belly. The scariest benefits of quitting sugar is how highly addictive it is. It has been said that sugar is 10 times more addictive than cocaine. Wow! That is a scary thought! Sugar is one of those things that makes us feel good. I mean who does not feel good after eating a double chocolate donut? If you continue the sugar cycle your feeding into an addiction in reality. Once you lose that feel good moment that sugar gave you, you’ll soon want more and round and round you go. A high intake of sugar has been linked to so many mental health issues. These include depression and anxiety. Now sugar is not the cause of these mental health issues but it does play a factor. With your insulin on a constant high and low of course it could affect your mood swings. I mean look at when you get hungry. If you are familiar with the hangry feeling you know exactly what I am talking about. By maintaining your levels will even out your moods. With eating too much sugar you know you are putting yourself at risk for diabetes. This has to do with the insulin spikes your introducing to your body. These spikes can open you up to diabetes and obsesity. Like I said about stored fat especially belly fat your liver plays a huge role in breaking down sugar. Fructose found in sugar is linked to non-alcoholic fatty liver disease. Your liver can only break down so much at a time and when you overload it, it will get stored as fat. The fructose will get stored around your liver, yuck! Now if you decide to give up sugar you may experience some side effects. None of those are fun but they should be temporary. If you are serious about cutting out sugar there are a few things to help with these side effects. Make sure you drink more water and up your protein intake. Both should help fight these side effects. Do not turn to fake sugar as it will trick your brain into thinking it is the real deal. Instead read your labels, make better choices. Instead of fruit juice have real fruit. Sticking with clean foods will for sure fuel your body the right way and lessen these negative side effects. Overall, the side effects are just temporary. 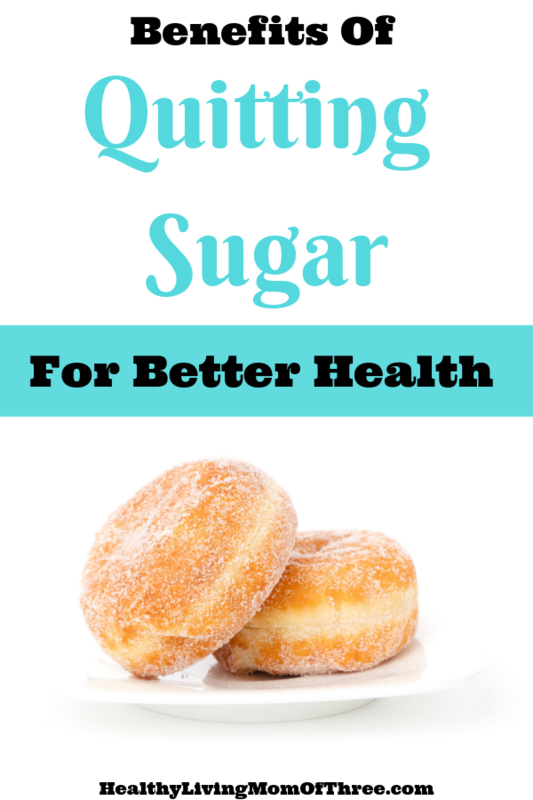 Your overall health is more important when it comes to quitting sugar.